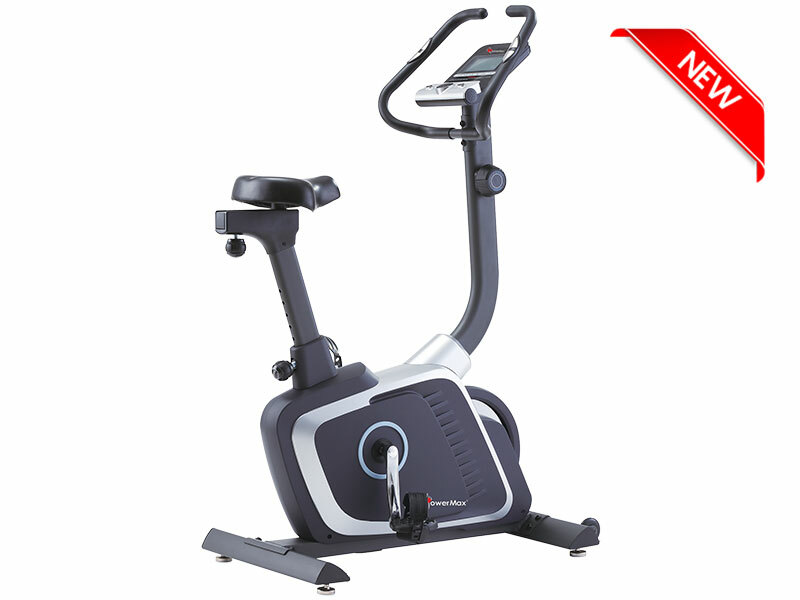 The PowerMax Fitness BU-200 Upright Bike is ideal for home workouts. 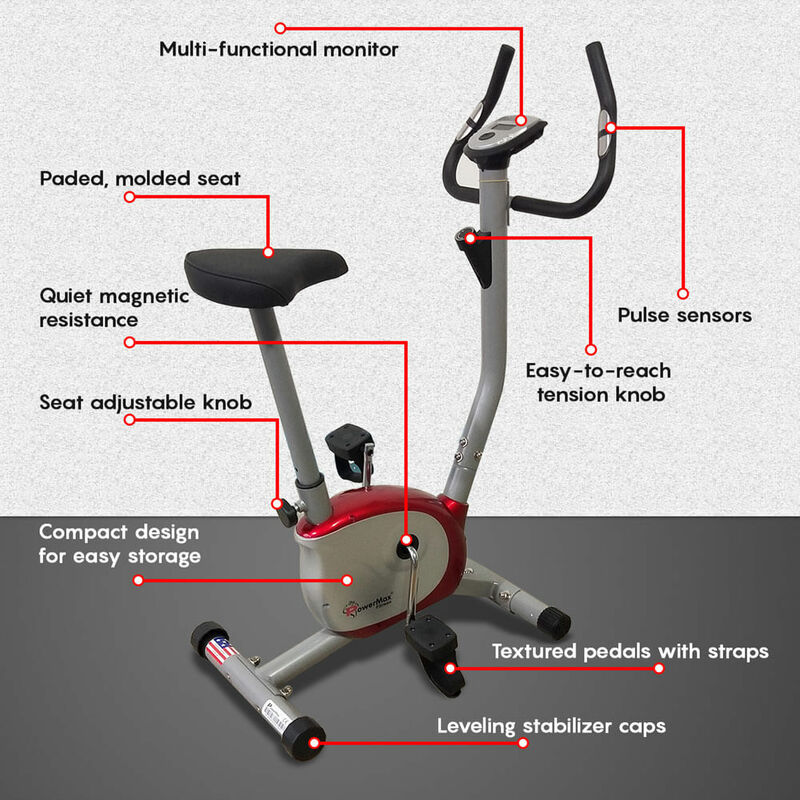 This attractive bike is a great way to get in shape. A smooth and silent belt system allows you to work out without disrupting others. 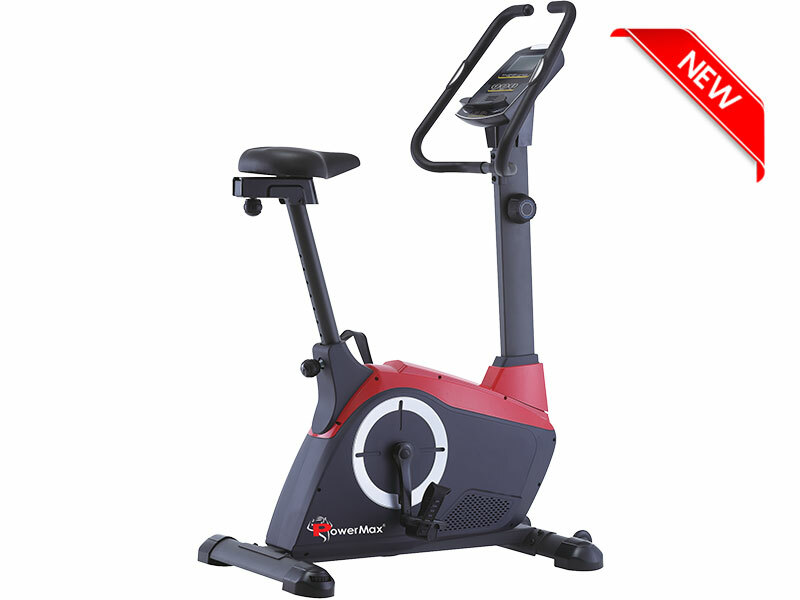 The PowerMax Fitness BU-200 Upright exercise bike comes with a monitor that enables you to measure distance traveled, speed, time and how many calories have been burned per session. 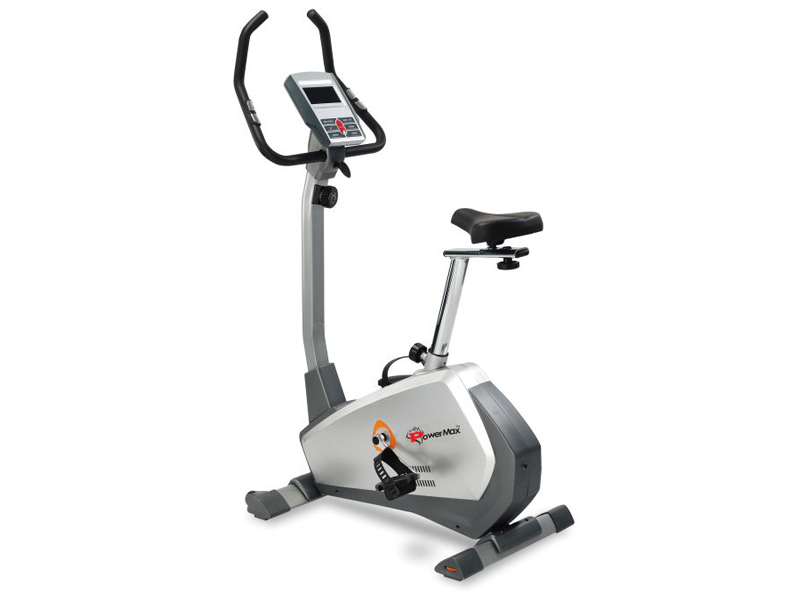 The PowerMax Fitness BU-200 Upright Bike is ideal for home workouts. This attractive bike is a great way to get in shape. A smooth and silent belt system allows you to work out without disrupting others. 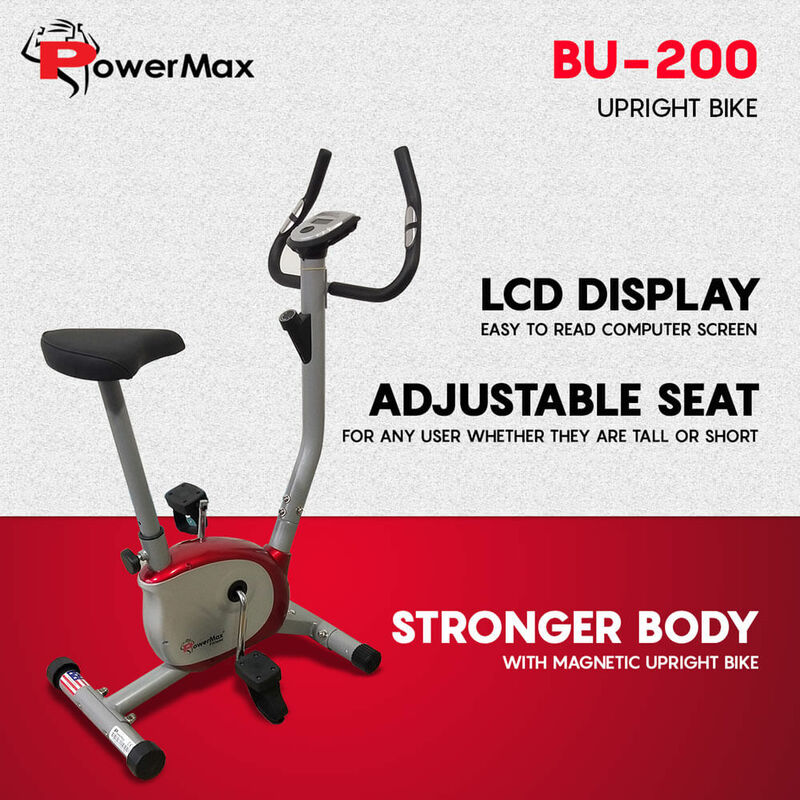 The PowerMax Fitness BU-200 Upright exercise bike comes with a monitor that enables you to measure distance traveled, speed, time and how many calories have been burned per session. 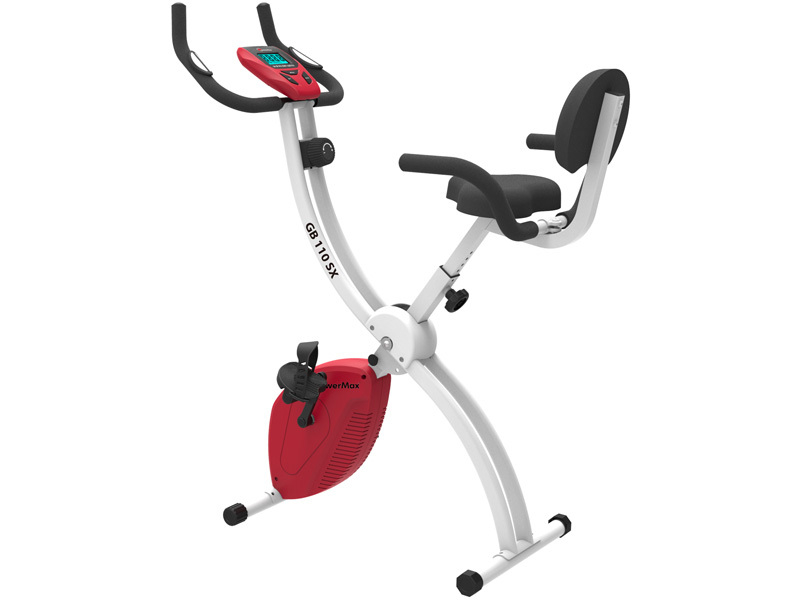 Stylish and functional, the exercise upright bike with a cushioned adjustable seat is great for low-impact aerobic exercise. 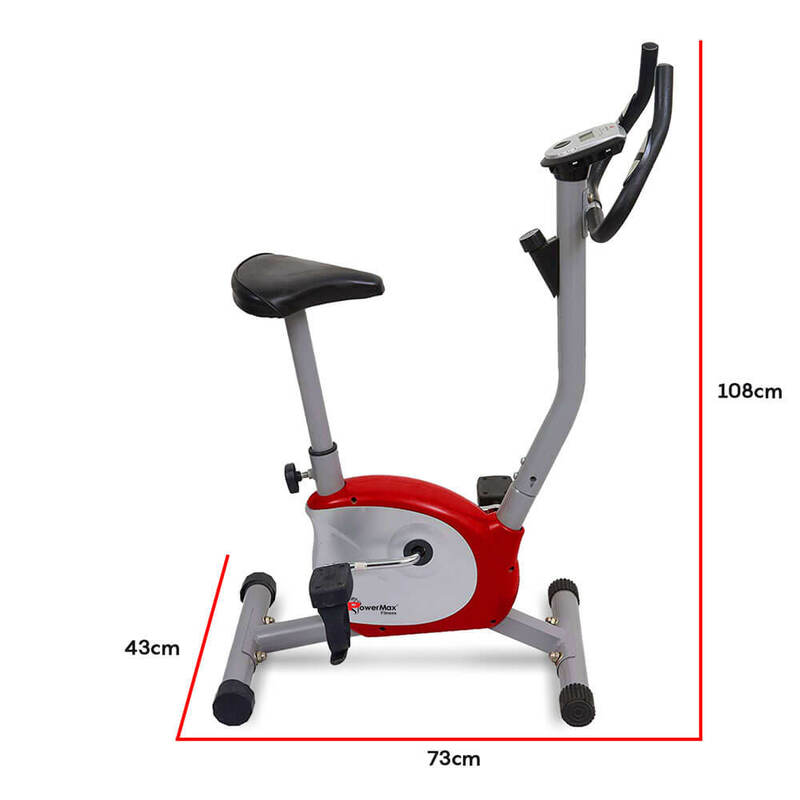 Requiring only a small area for use, the exercise bike can be set up and always ready for the next workout. 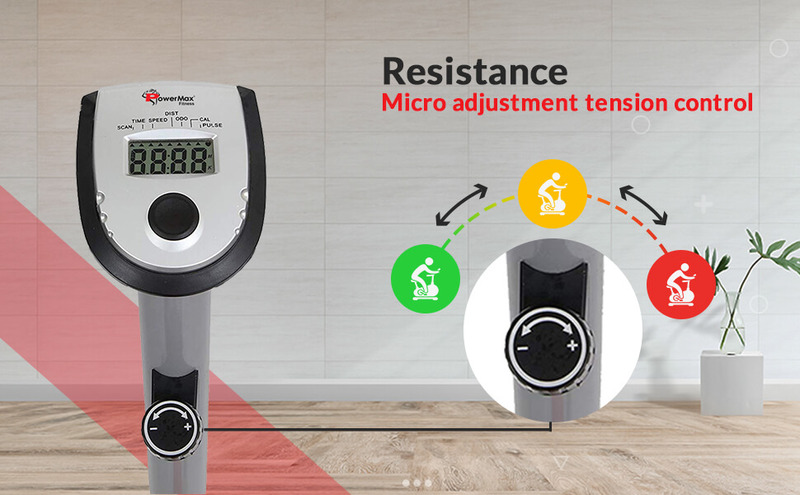 • Exercise in the comfort of your own home. 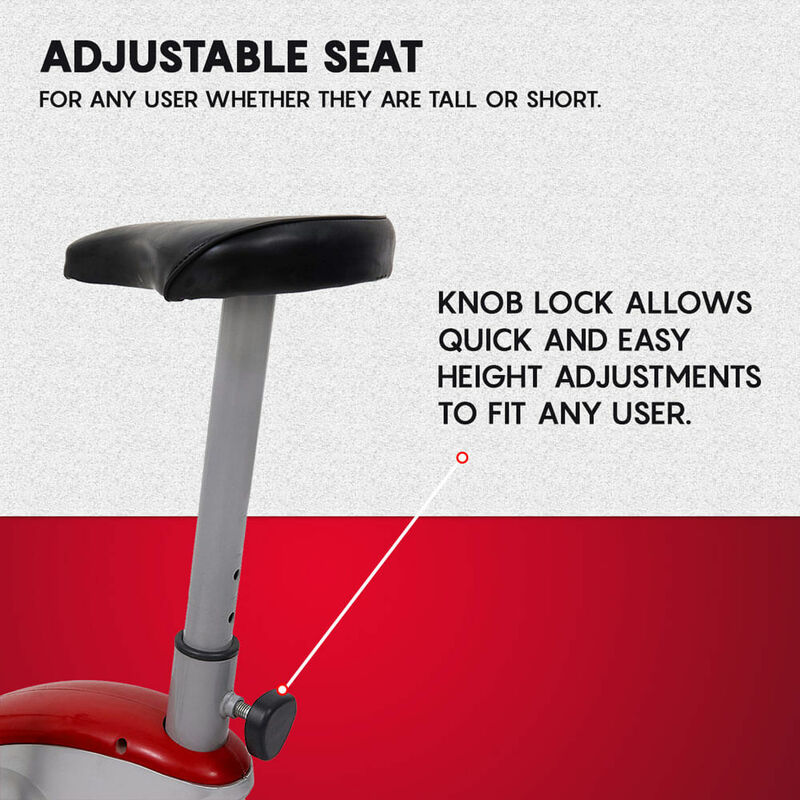 • Urban and ergonomic design, perfect for apartments & studios. 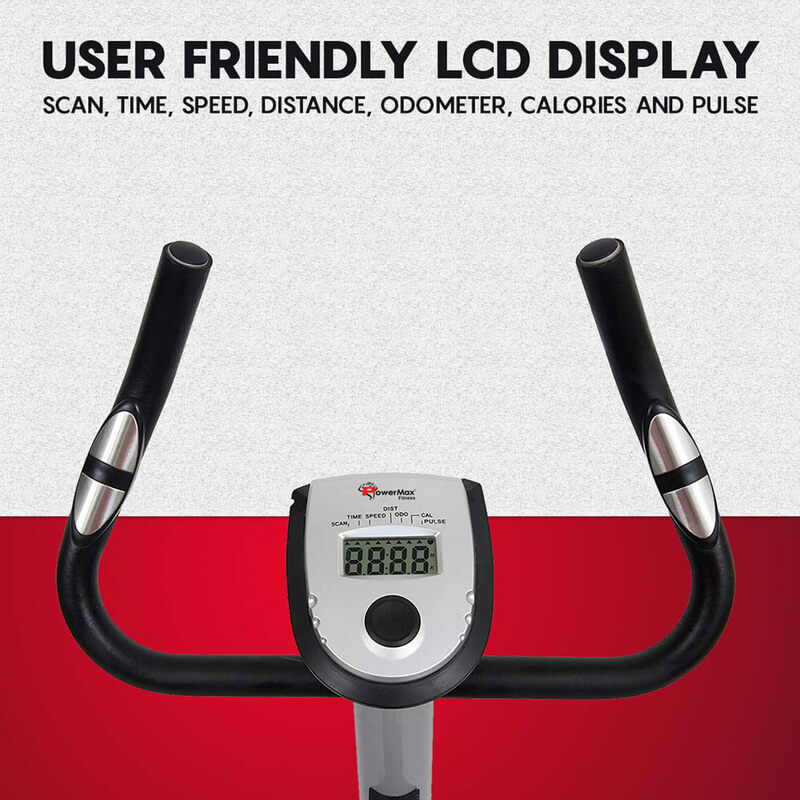 • LCD console that keeps track of your workout routine. 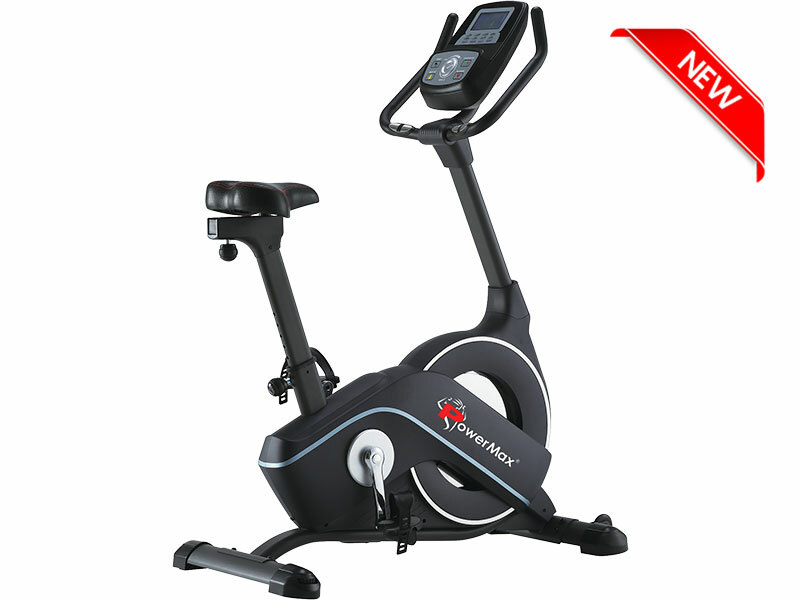 PowerMax Fitness BU-200 Upright Bike features the LCD display shows Time, Scan, Speed, Distance, Calories burned, odometer and Pulse. The crank is made up of the arms that the pedals screw into, the spindle that joins them and they move to turn the drive and flywheel. The bike has single piece crank of 5.5 inch. 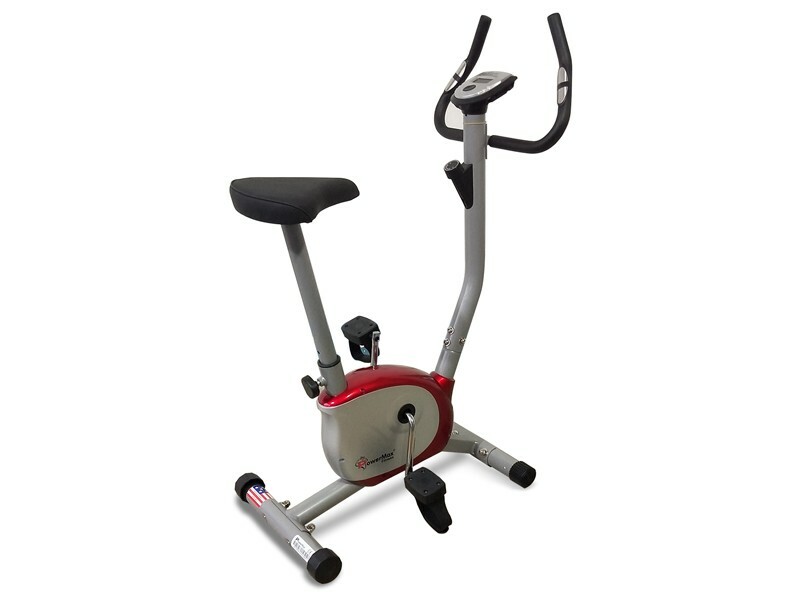 PowerMax Fitness BU-200 Upright Bike adds the realistic feel is the presence of Comfortable anti-skid pedals with adjustable foot straps. 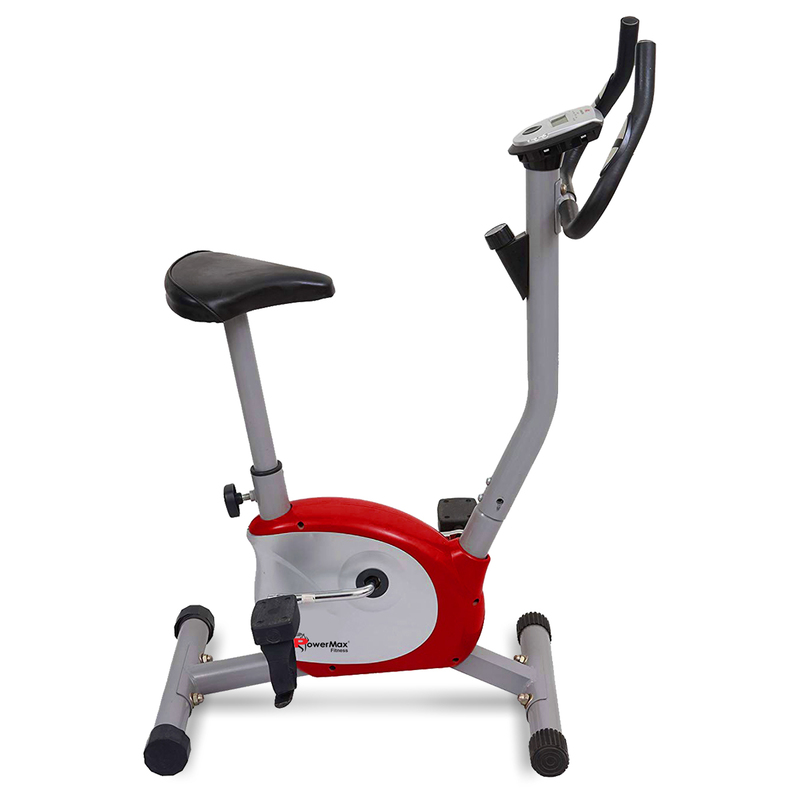 The Upright bike has the perfect comfort cushion seat and vertical adjustment. 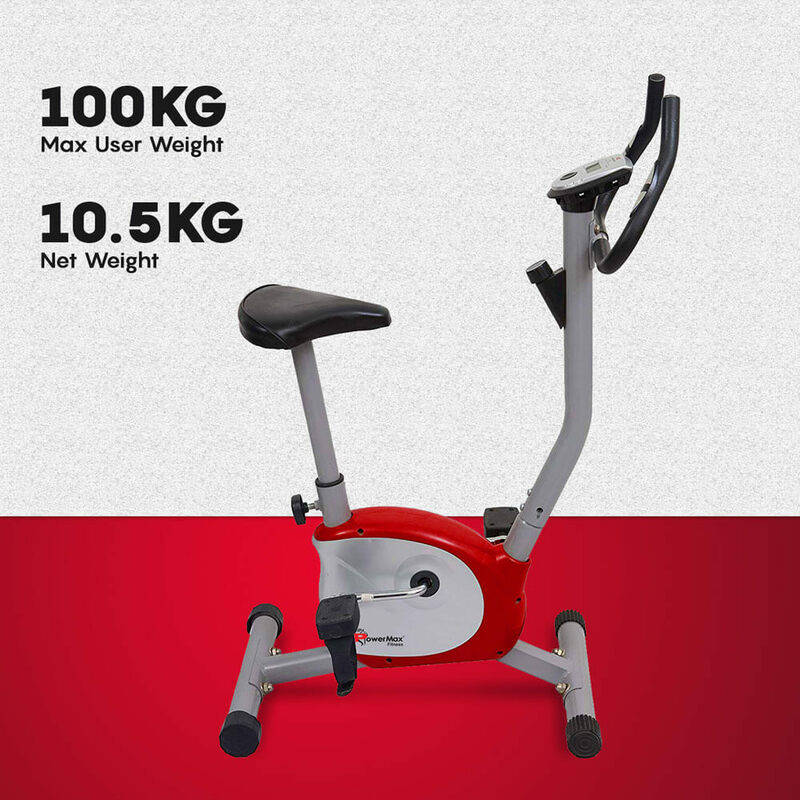 This upright bikes resist micro adjustable tension control, that enable you to workout according to pressure you can resist to cycle the pedals. 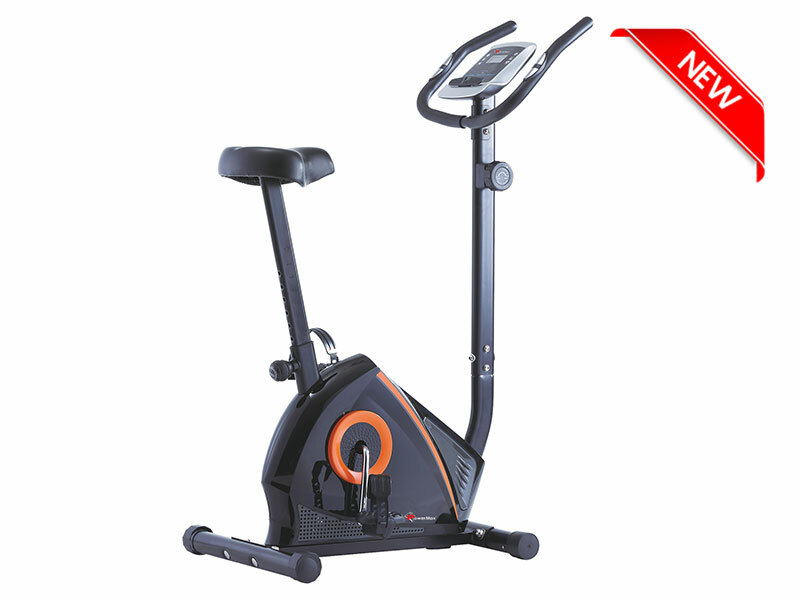 The Max Users Weight PowerMax Fitness BU-200 Upright Bike can carry is 100 kilogram. 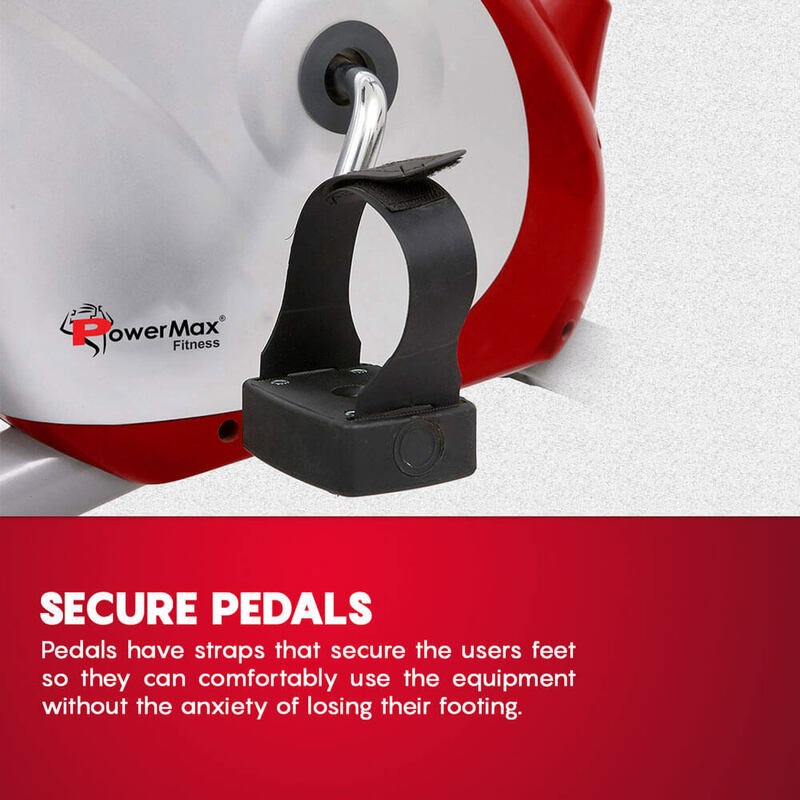 The PowerMax offers heart rate sensors on handle grip, HDR foam grip, Wheel for easy transportation. 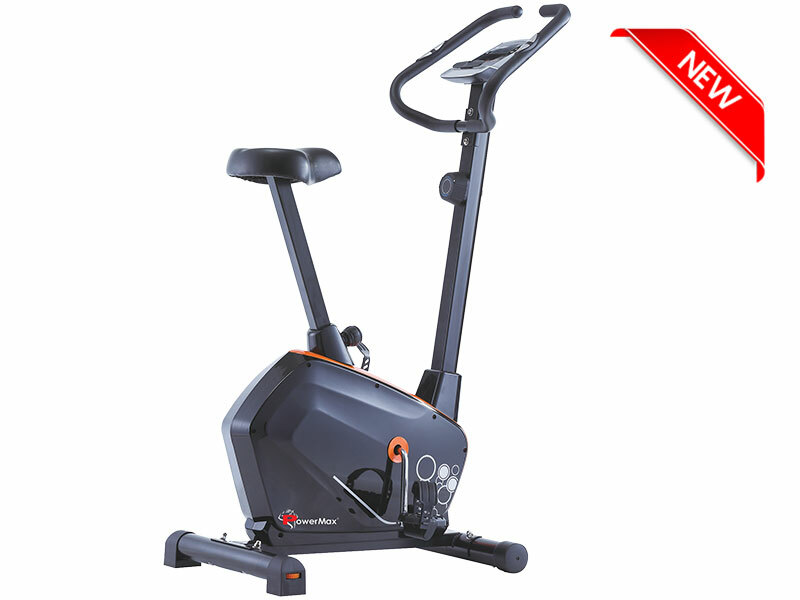 Heavy gauge steel mainframe of PowerMax Fitness BU-200 Upright Bike gives 1-year limited warranty.